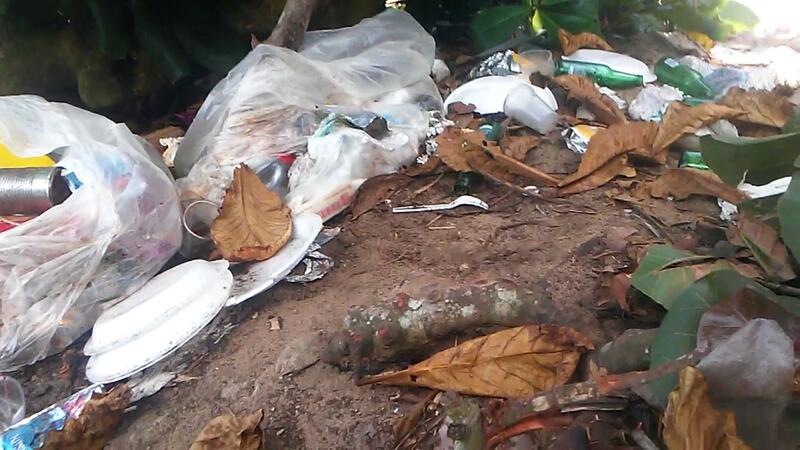 Video: Social Experiment Puerto Rico: Would The People Pick Up Or Ignore The Garbage? Everyday I go to a beautiful beach or river or drive down the roads of this beautiful paradise that is Puerto Rico I it inundated with garbage, Which is why I decided to walk around with signs at the beaches and rivers so that I could raise awareness to this issue. Every day that I would go clean up whatever beach or river that I might be in, while I noticed everyone else just happily ignores it. I even issued a challenge for people to pick up garbage at the beaches and rivers which can be found here. One day I went to this beautiful beach that I always would walk with my signs in and would clean it as I went and wrote a blog about it’s destruction here because I would always find garbage there and so on this day I found garbage yet again hidden in the bushes, so I decided to remove it and place it where it would be visible and thought it was time I did a social experiment. So I decided to leave the garbage I took out of nature since it has become their garbage can and I decided to put it in the walkway going to the beach. I wanted to see if someone would do what I do everyday that I go to the beach and that is leaving it cleaner (or try to at least.) than it was before. So how did the people do? Well as seen in the video one group left added on to that garbage by leaving a bottle in which I had to confront them about it. I stood there for 30 minutes and no one decided to pick it up. I of course removed the garbage from there, but I am just one man. Imagine all these people coming together to clean up and leaving it cleaner than they found it. I think it’s time for the people to wake up and take action (Again take my one trash bag challenge.) and to stop treating paradise like a landfill and stop accepting this as normal. I made this video here asking the people which they prefer, landfill or paradise. We should be striving for something better, a better world, a better us! Stop accepting mediocrity. We have to stop treating our home, our mother like garbage. Start respecting, cherishing and appreciating this beautiful gift we have been bestowed. For it is the Only home we have. Please Share to raise awareness.